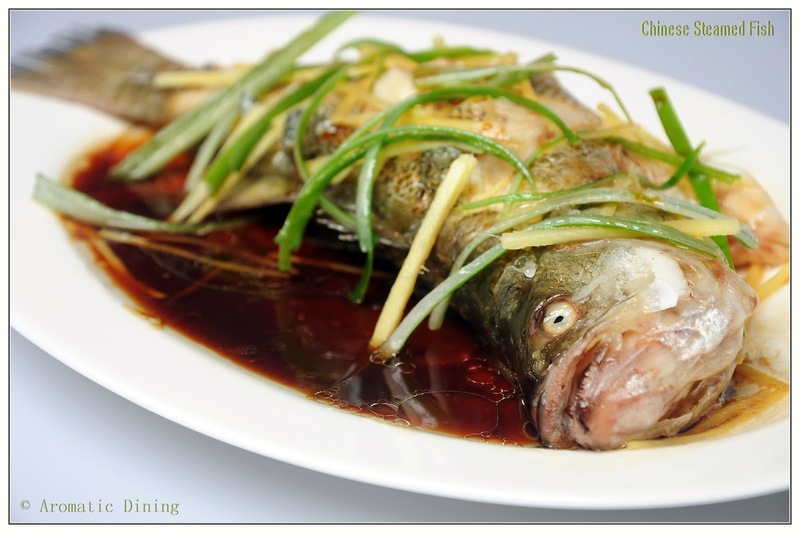 While I’d thought of posting this exquisite dish of Steamed fish, my Sweet heart was all excited. Yet again this is his specialty. He cook it with passion and put his full attention and care on the fish. Lucky fella!! ;)… The most amazing healthy fish ever !! Steamed and topped with soy sauce brings out unique flavor with it. All you need is love for fresh fish, live from the tank selected by you and cooked in no time. In India particularly in our region we don’t usually get to purchase fish which is still swimming.. First time when we were invited for party in a restaurant in China we were asked to select fishes from the tank. We hesitant at first, then got to select two big fishes. They were then caught by the chef and taken to kitchen. That day it was little bit disturbing to see them on the plate 😦 .. Additionally we were very new to traditional Chinese food. It was totally new experience for us to have fresh fish and it really turned to be unavoidable later. Started loving the freshness and all goodness of steamed fish, we decided to try it out at our kitchen. Been tasted for several times, we had an idea what makes this fish so special. Also we got guidance from one of our friend’s mom from China. 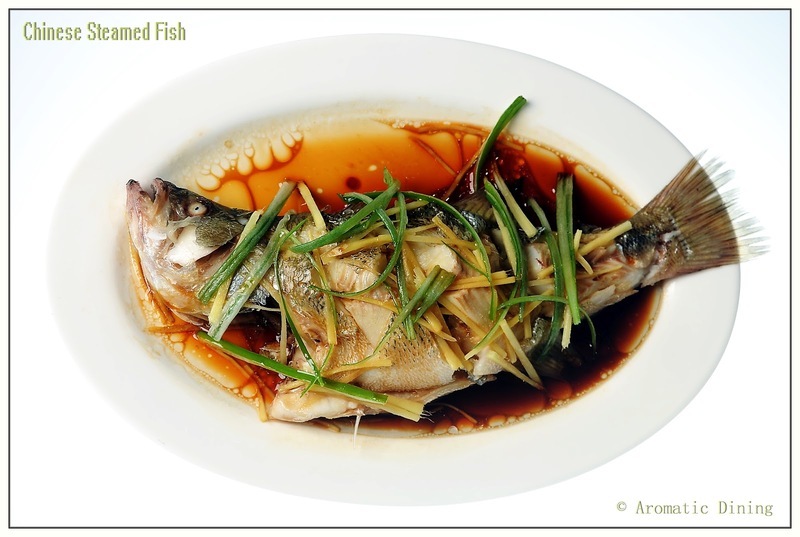 So we thought now its appropriate to disclose our secrets to making “Steamed Fish“. 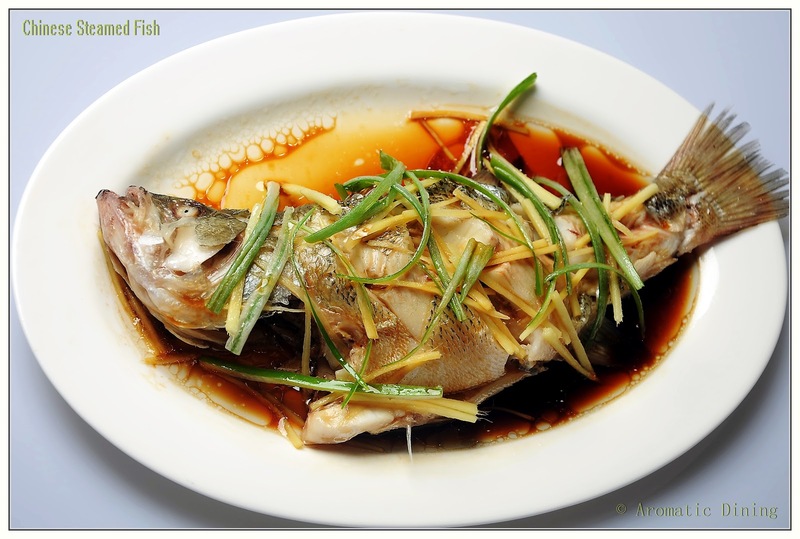 You could use a fish which is not fresh but you may have to sacrifice the freshness and the flavor it gives to the dish. 1. Clean the fish and slit them both sides. Place it on a plate which is big enough to go into the steamer. He used a very big wok with little water for steaming. With a round rack in the center and an oval shaped porcelain plate for keeping the fish for steaming. 2. Divide the ginger into two halves. Julienne one half for garnishing and slice the other half into coins. 3. 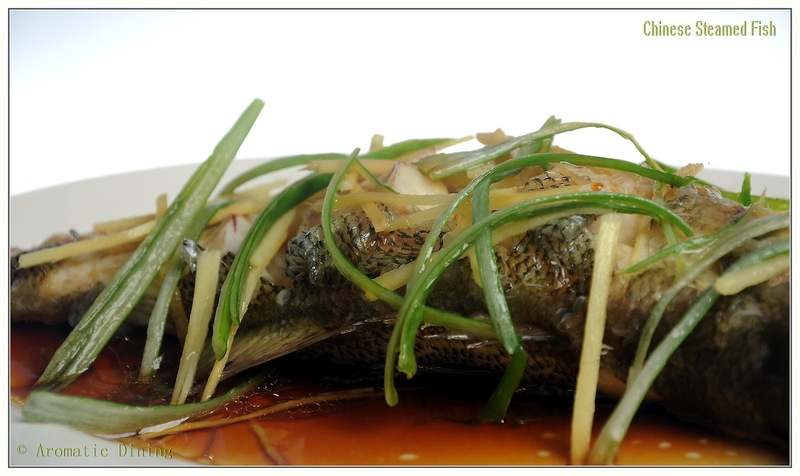 Take few scallion strips and place it inside the fish stomach along with the sliced ginger. Also place 3 nos of sliced ginger in the bottom between plate and the fish as a bed while steaming. 4. Place it in the steamer and steam for 8 mins if it is small fish or 10 mins for medium. It took 8 mins for our fish to cook. You can otherwise check the doneness using chopstick to see whether the flesh separates the bone easily. 5. Remove the fish along with the plate from the steamer and discard the ginger, scallion and the water released by the fish during steaming. 6. Gently lift the fish and place it on the serving plate. Garnish with julienne ginger and scallions. 7. Heat oil in a wok. When it comes to smoking point pour onto the fish. 8. Pour the soy sauce all over the fish. 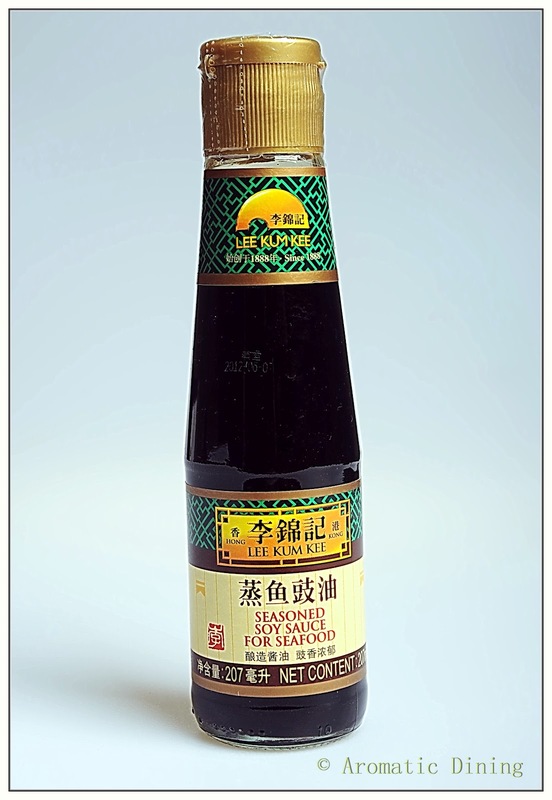 1.Use the normal soy sauce if you don’t have the seasoned soy sauce for seafood. 2. It is very important to add oil and then soy sauce to get that shiny fish and flavor. 3. As said before keep checking your fish for doneness if you don’t rely on time or in doubt with the kind & size of the fish. 4. Don’t slit the fish too deep. When it is cooked it will fall apart. Akka, Hubby dear is going to love this ! !Now that I have a recipe for the super tasty steamed fish I need to surprise him :)The photos look really welcoming ! !